Zanu-PF Politburo member Cde Perrance Shiri believes that the party could have erred in giving former president Robert Mugabe carte blanche to stay in office for as long as he pleased, as this seems to have made him vulnerable, especially when he became old, to the political designs of a faction led by ex-First Lady Grace Mugabe, which wanted to take over the levers of power in the party and Government. “In November last year, after a lot of jockeying in the party for what appeared to be a vacuum there, I think we all know the former president (Cde Robert Mugabe) of the party was 94 years old, and we all know the challenges associated with old age,” said Cde Shiri. “In Mozambique, it started with the late President Samora Machel after his unfortunate demise. His immediate deputy, Cde Joaquim Chissano, took over leadership of both the party and the country. After 10 years, he handed over to he next most senior individual, Cde (Armando) Guebuza, who also did the same. This act, he said, led to an inexorable process, through Operation Restore Legacy, which culminated in the resignation of ex-president Robert Mugabe on November 21 and reinstatement and elevation of Cde Mnangagwa as President of both the party and State. 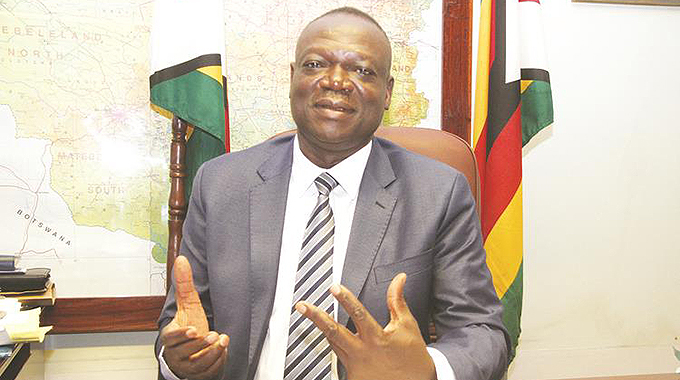 Cde Shiri said the Head of State and Government, who he described as an “immensely experienced” individual, was currently correcting the shortcomings of the previous administration, and was largely expected to deliver Zimbabwe to the Promised Land. Cde Shiri also trained in Tanzania – which, as chair of the OAU (now AU) Liberation Committee, played midwife to most of the liberation movements in Africa – as well.